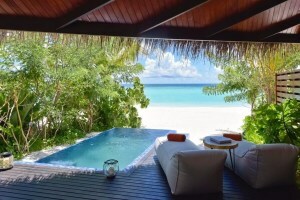 Indulge in this oasis of tranquility from the time you step into this one-island-one-resort destination. A structure oozing grandiose, the Grand Park Kodhipparu break away from the myth of being just for honeymooners or couples by offering an array of kids activities and water experiences. Packed with a collection of beach and water villas the resort also features three different restaurants, a bar with infinity pool and a spa for those seeking wellness. Exuding contemporary grace, the resort is dotted with sophisticated tropical getaways with state-of-the-art interiors that invites its guests to dwell in the peaceful atmosphere. 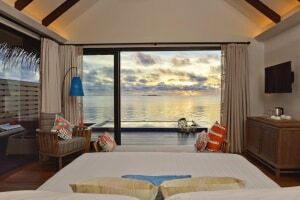 The best feature of the resort is the over water villas that features glass floors for spotting fish and coral. In addition, the infinity pool also spills into the seas. Children aged 0-3 years can use a cot upon request at no additional cost. 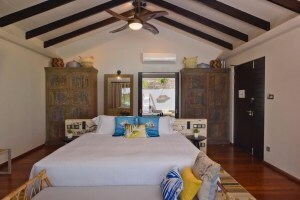 Children aged 0-11 years can use an extra bed upon request at US$146 per child, per night. Kindly note that the hotel is accessible only by a speedboat: Adult: 180 USD and Child (3- 12 years) – 90 USD and children below 3 years stay for free. Also, note that the airport transfers from the resort are mandatory. 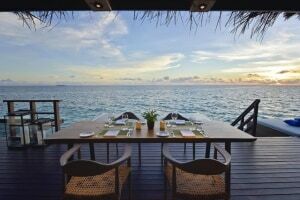 In addition, Maldives requires every resort to charge 6 USD per person Green Tax for each night of their stay. This is a compulsory tax incurred in all hotels, and it's directly payable at the hotel.